Here at Mecklenburg Paint Company, being involved is an incredibly important part of what we do! Our Marketing Team loves staying active and social! Liz and Allison. 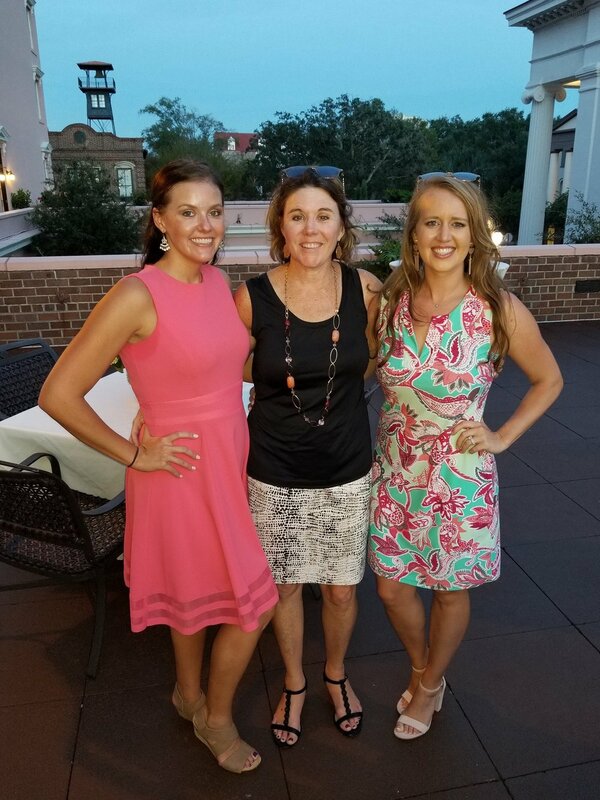 Liz and Allison are members of BOMA, Liz and Stefanie are members of IREM, and Liz is our only member of CREW. Within each organization, we attend networking events as well as outreach events to give back to our community. Some of the organizations we volunteer for are including but not limited to: Second Harvest Food Bank, Habitat for Humanity and Ronald McDonald House of Charlotte. We attend conferences, trade shows, golf tournaments and Holiday parties each year! Scroll below to see a few recent events we have attended. Each December, BOMA bakes over 5,000 freshly baked cookies to be delivered to the troops as they go home for holidays to be with their families. The baking is in partnership with CPCC and hosted in CPCC’s Culinary Kitchen. The cookies are then delivered to the USO so they can be distributed to troops at the Charlotte Douglas International airport. Thank you to our service men and women! This year was the 2nd Annual Clay Shoot with BOMA. Mecklenburg Paint sponsored a team and four of our office staff participated in the clay shoot - from left to right - Stefanie, Allison, David and Andy. The event was hosted at The Fork Farm and Stables in Norwood, North Carolina. 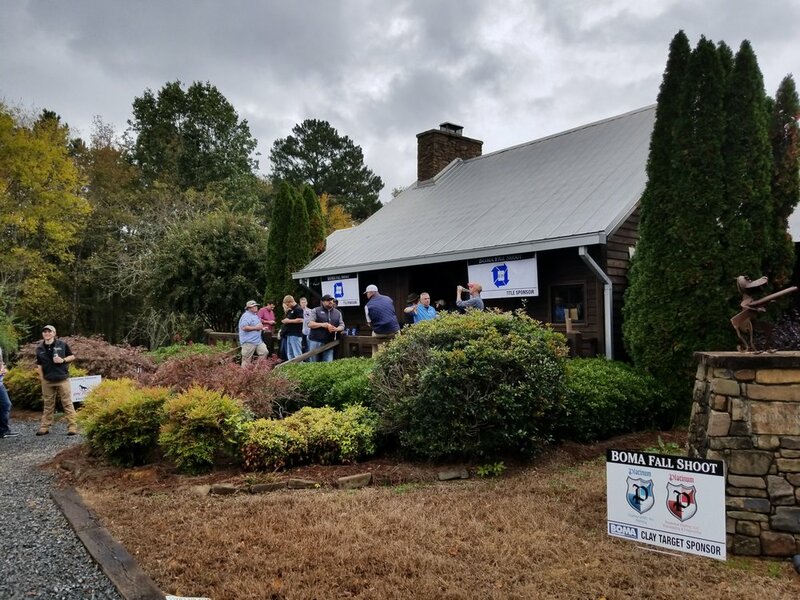 The IREM Golf Tournament this year took place at Cramer Mountain Club in Cramerton, North Carolina. To celebrate 25 years of IREM, the theme was Movies from 1993. Being so close to Halloween and having three dashing ladies to represent our company, our movie choice was Disney’s Hocus Pocus! Stefanie did an incredible job bringing our theme to life and winning us not one but TWO trophies at the award ceremony. Mecklenburg Paint was awarded Best Content and Most Creative! Always a great event and a fun day with clients! The BOMA Annual Conference took place at The Mills House in Charleston, SC. It was another great event to connect with members in our industry. Meck Paint sponsored the Saturday morning breakfast! Following the breakfast, Liz and Allison attended an excellent Education Session with Rose Venditto from Beyond Words Consulting. Sightseeing and shopping took place during the day and ended with the BOMA Annual Dinner and Awards Ceremony on Saturday evening. Allison was awarded the 2018 Committee Volunteer Award. Helping a sick child fight their illness takes a big enough emotional toll on a family. Adding a financial strain can make it all almost too much to bear. Ronald McDonald House can help address those problems, whether they involve housing that’s near a hospitalized child, the expense of staying together in another city, or even getting basic medical and dental care in a vulnerable community. Three times a year, BOMA volunteers to cook dinner for those who are staying in the home. Our Meck Paint gals always enjoy volunteering any time we can! 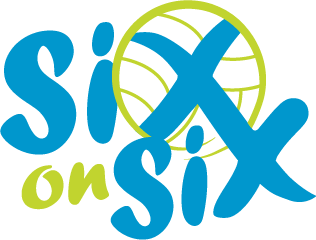 Childress Klein and Beacon Partners were proud to host the 11th Annual Six on Six Volleyball Classic on May 10, 2018. 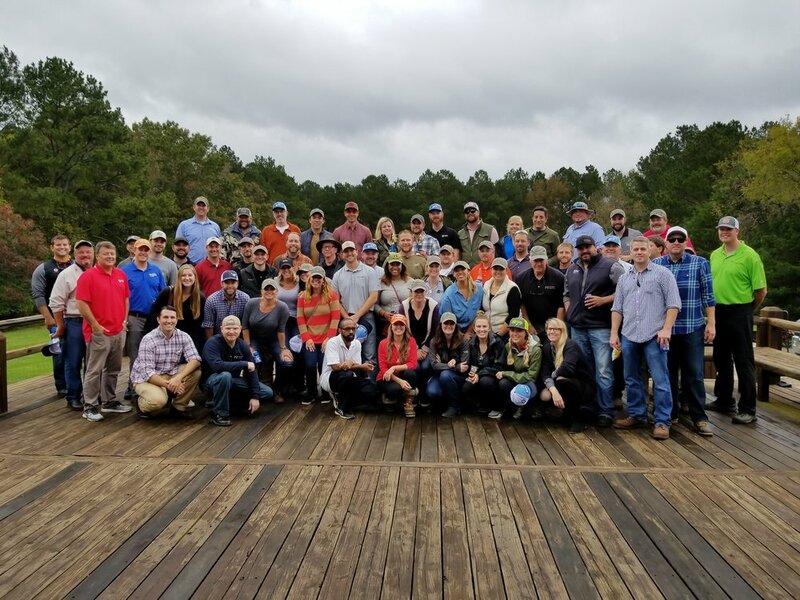 The event pitted teams from the Charlotte commercial real estate industry in a head to head competition that promotes camaraderie and networking while raising awareness and support for local charities. We always have a blast sponsoring with EastGroup Properties! In the first image, are members of the Meck Paint Team: Stefanie Charron, Liz Etheredge, Allison Warren and David Warren. In 2016, Mecklenburg Paint Company was nominated to participate in the Charlotte Business Journal Family Business Awards. In the first image is Howard and Liz (Owners of Meck Paint), Mark (Howard’s Oldest Son) and his wife Megan, Allison (Howard’s Daughter) and her husband David, Ben (Howard and Liz’s Youngest Son) was unable to attend due to a prior commitment as a student at Winthrop University. It was a great honor for Mecklenburg Paint Company to be nominated and an even better excuse to have a family night out on the town! The Etheredge’s will forever cherish the time they spent together as a family this night. Each year IREM has a Christmas Party for its members. They are always a blast! Each year IFMA hosts a Christmas Party for its members. They are always a blast!